Blogs, Podcasts, Twitter and YouTube will only take you so far. If you really want to learn about Digital Marketing, you’re going to have to do the heavy lifting. The Cluetrain Manifesto – Rick Levine, Christopher Locke, Doc Searls & David Weinberger. Crush It! – Gary Vaynerchuk. Groundswell – Josh Bernoff & Charlene Li. Here Comes Everybody – Clay Shirky. Life After The 30-Second Spot – Joseph Jaffe. The Long Tail – Chris Anderson. Made To Stick – Chip & Dan Heath. The New Community Rules – Tamar Weinberg. The New Influencers – Paul Gillen. The New Rules of Marketing & PR – David Meerman Scott. Purple Cow – Seth Godin. Trust Agents – Chris Brogan & Julien Smith. Waiting For Your Cat To Bark – Bryan & Jeffrey Eisenberg. Web Analytics 2.0 – Avinash Kaushik. Web Analytics – An Hour A Day – Avinash Kaushik. What Would Google Do? Jeff Jarvis. The Whuffie Factor – Tara Hunt. Word of Mouth Marketing – Andy Sernovitz. What’s missing? What’s on your list? Everything Is "With" Not "Instead Of"
I’m a huge fan of “World Wide Rave” by David Meerman Scott. It’s a great starting point for anyone wanting to get into digital marketing. I would also recommend “Hey Whipple! Squeeze This” by Luke Sullivan – as supplemental reading for what makes great advertising/marketing. What a perfect list Mitch, it’s more like a reference guide for Social Media that you’ve put together there. Six Pixels of Separation: Everyone Is Connected. Connect Your Business to Everyone. Mitch — I know it sounds like I’m puckering up, but as I mentioned before on this blog, I’ve been recommending “Six Degrees of Separation” by Mitch Joel to just about everybody I come across who’s an entrepreneur or marketer, and I am currently getting enthusiastic texts from a new biz owner I’ve lent my own copy to. Don’t omit your own book from the list! What I like best about it is 1) you’re a trained journalist, so it’s a beautiful read, and 2) it clearly explains the characteristics of the marketing paradigm shift from old to new, in a way anybody can understand. Love that book. Dan Zarrella’s “social media marketing” is my second choice — very different, less conceptual and all practical how-to tips, but quite invaluable as a map to the landscape. This list is fantastic! Thanks for sharing this Joel! I would include three great books. First, I agree with Amod Munga (previews comment) about “World Wide Rave” by David Meerman Scott. Second, I MOST DEFINITELY agree with Joe Sorge (previews comment) about your book: “Six Pixels of Separation: Everyone Is Connected. Connect Your Business to Everyone”. Your book is a classic! Once again, thanks for sharing such remarkable list! ReWork by Jason Fried and David Heinemeier Hansson is a must essential read for anyone in my opinion. I would add it to the list. 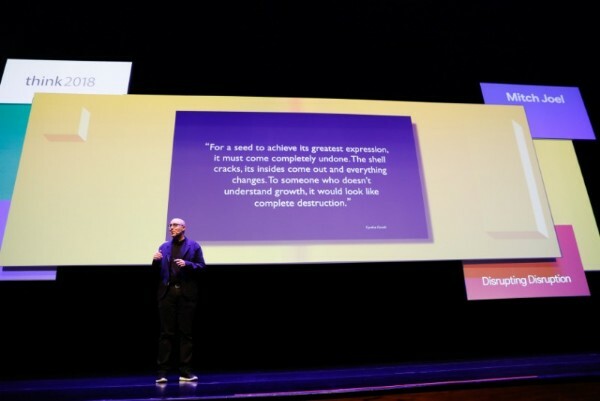 Presentation Zen Design by Garr Reynolds – It’s primarily about designing presentations but almost all of the lessons are applicable to any kind of digital content. The Elements of Story by Francis Flaherty – This is a fantastic book about writing non-fiction that can help anyone improve the quality of their writing. @Mike Brewer, I would definitely supplement Tapscott’s “Growing Up Digital” with its sequel “Grown Up Digital”. Fantastic read, and one of the few follow-ups that I would say is actually better than its predecessor. Together, they offer an interesting and often surprising look at the net generation. Another great addition to this list would be David Weinberger’s “Everything Is Miscellaneous”. A wonderfully detailed look at the new laws of organizing information and how to make things available/accessible to everyone. Great list Mitch, and other good suggestions in the previous comments. A couple other books I’d like to mention are The Corporate Blogging Book by Debbie Weil, The Mobile Marketing Handbook by Kim Dushinski and Now is Gone by Geoff Livingston. I was lucky enough to hear and meet Andy Sernovitz last Friday (as well as get him to sign a couple copies of his book Word of Mouth Marketing). I am pleased to see that on the list as it has a lot of great info. An oldie but goodie, is Geoffrey Moore, Crossing the Chasm. From a nonprofit perspective, Momentum by Allison Fine. She and Beth Kanter have a new book coming out. I read the manuscript and it is also very good – coming out in June. Mitch – you are too modest – your book has to be on a top 20 list. Interesting you left off one of the first, a bit dated now, but Naken Conversations – Scoble and Israel. Thanks for the list . Great titles all. Presentation Zen by Garr Reynolds, as well as recent follow-up: Presentation Zen Design. A book on manners would also be in order — another thing that is often overlooked in social media circles (sorry don’t have a specific title). And last but not least, Mitch, your own tome: Six Pixels of Separation. Since the list runs the gamut from intro to advanced, what about segmenting it into a couple of categories like that? I’ll second David Horne and Dusty. Inbound marketing was a fantastic marketing book. It gives a very holistic view of how content creation, seo and social media should tie together. I have most of these, and love them all. If you don’t mind me adding: Don’t forget about Beyond Blogging! Hi Mitch. Wonderful reading list. I’ve read about half of the books you have posted on this list. I’ve wondered about several of the others, especially “New Community Rules.” I’ll have to pick a couple of the others up. Thanks for the list and all of your efforts. GREAT list. Most of those books keep floating around but I’ve never taken the time to put them in a list. This will make an excellent reading list of the next few months. Thanks for the great resource, Joel. I’ve recently re-read Chris Anderson’s “Free”. It ranks as one of my absolute favourites. I second this. David Meerman Scott’s World Wide Rave is the bomb. Just catching up on older posts, I find it interesting how many of us digiterati are recommending and reading books, traditional long form information dissemination. Is everyone here reading on paper or screens?